Spray-in bed liners are permanent liners that are made to protect your truck bed. They are made from polyurethane elastomer which adheres directly to the truck’s cargo area. Spray-in liners will not fall out, or shift as your truck moves. When installed correctly, they also block water, dirt and other environmental elements from damaging your truck bed. Most bed liners have a gritty consistency to them, to prevent objects from shifting or sliding around in your truck bed. 1. ArmorThane – ArmorThane is the counterpart of Rhino Linings and users consider it to be indestructible. Even in extremely harsh weather, movement within the truck bed with an ArmorThane spray-in liner is practically absent. Tests show that even after spilling materials such as oil and lacquer thinner on this bed lining, no destruction was visible. Reviews online also state that if you want to choose a spray in bed liner that would last your entire life, ArmorThane is the best option. Customers of the liner say that nothing gets through this liner and no scratches are typically seen after several years. 2. Line-X – While people complain that Rhino Linings make the side walls look sagging, Line-X is a good choice for those who want them to look more molded in appearance. As compared to Rhino Linings, Line X seems to be more durable, especially for people who are going to use their trucks on a regular basis. Line-X keeps the truck perfect looking while Rhino Linings develops tears and the texture is almost rubbery which is off-putting to some. 3. 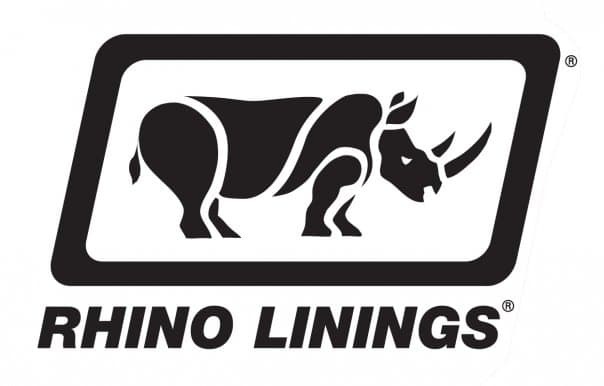 Rhino Linings – Rhino Linings is most famous for its ability to deaden the road noise when it is used on the pickup bed. It is also a versatile product which can be used at a lot of places without any hassles. The brand is trusted and loved by truck owners because of its reliability. Reviewers of the product also commend the way only a hose is needed to wash off the truck and make it as good as new after Rhino Linings has been used and things like bulk sand, Belgian Block, firewood and others have been carried. It’s important to these linings from a reputable installer. Rhino Linings come with a lifetime warranty but it’s imperative to have a professional install the lining initially to ensure it’s quality. Various spray on technologies were tested by the government for the purpose of bomb protection and as per that report, Line-X was the only one that passed the test. Rhino Linings have been around for “more than a quarter century” and have gained a reputation of “superior quality, strength and durability” according to their website. They also have than 2,000 independently-owned and operated businesses in almost 80 countries. ← Types of Truck Bedliners – Which Is Best?